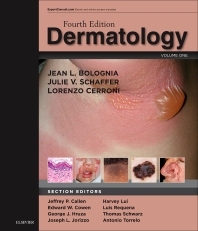 Provides the in-depth, expert information you need to address challenges you face in practice across all subspecialties – including medical dermatology, pediatric dermatology, dermatopathology, dermatologic surgery, and cosmetic dermatology. Uses the famous "easy-in, easy-out" approach, transforming complex information into more than 1,000 reader-friendly tables and algorithms, along with templated chapter contents for quick recognition and access. Focuses on the essential "need-to-know" basic science information and key references. Brings together an esteemed team of expert editors and contributors that provide a truly global perspective, led by Drs. Jean L. Bolognia, Julie V. Schaffer, and Lorenzo Cerroni.